← Friday Video: Boot or DIE! Want to know how to get a serious calculator collector salivating? Bring back a favorite design from 1982, re-engineer the design so that the old code runs on top of an emulation layer that allows the use of a “modern” 32-bit RISC processor (which makes some functions run 100x faster), and then price the new product at half the going rate for the old ones selling on eBay. Hoo boy! You’ll get a sellout. And that’s exactly what’s been happening with the newly introduced Hewlett-Packard 15C Limited Edition (15C LE) pocket scientific calculator. The inmates over at the Museum of HP Calculators have gone crazy snapping up every copy of the $100 product they can find, wherever they can find one, from the initial production run of 10,000 units. 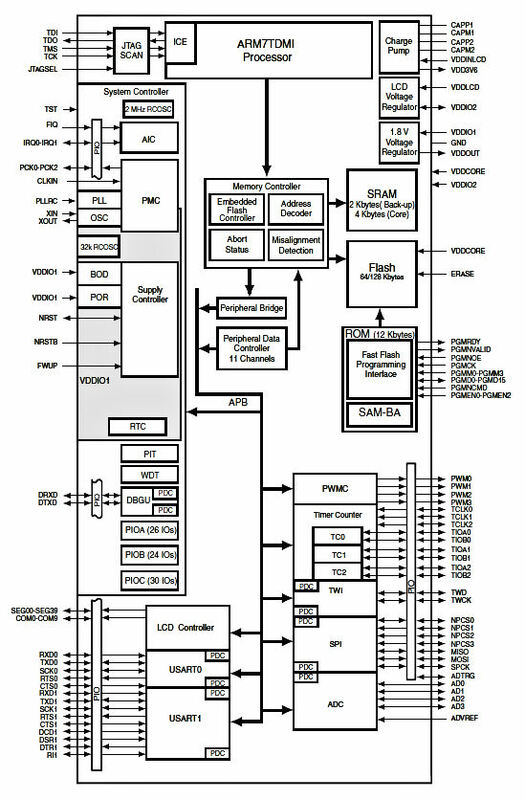 Everything HP needed to implement the calculator from processor, RAM, and Flash EPROM to LCD driver, on-chip voltage regulators, and the I/O pins to drive the LCD and scan the keyboard are included in this one low-cost chip. The block diagram is a classic SoC circa the late 1990s so if Atmel had not already gone ahead and created this device, it could have been developed by any of a number of SoC and Silicon Realization teams around the world. The ARM 7TDMI processor in the Atmel part runs an emulation layer that mimics the original HP-proprietary Voyager processor, which in turn was based on the processor architecture used in the HP 41C. 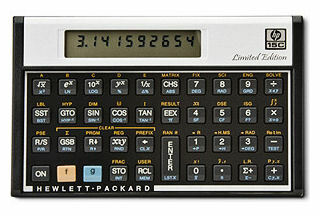 In fact, this new version of the HP 15C calculator runs the original HP 15C calculator code, with allowances made for differences in the I/O hardware. Even with the emulation layer, some functions run 100x faster in the newer version of the calculator. Now HP really didn’t even need to invest much of anything to develop the HP 15C LE hardware—the company had already done the majority of the work when it re-engineered the HP 12C calculator back in 2008. The existing HP 15C ROM code plus a little new code, new keycaps, and a new bezel silkscreen were enough to resurrect this old favorite. And that is one of the EDA360 facets of this story. It’s the app that made this machine. HP now has two different products from the same hardware platform in the current HP 12C and the HP 15C LE. The difference is really just the app. To see why this calculator is so beloved, take a look at this article by Valentín Albillo. The see the Web page where 15,339 people have signed a petition to HP requesting the return of the HP 15C, click here. This entry was posted in Apps, ARM, EDA360, Firmware, Silicon Realization, SoC Realization, System Realization and tagged ARM 7TDMI, Atmel, HewlettPackard, HP 15C. Bookmark the permalink. Now let’s hope that HP will do the same thing with the beloved HP 16c. It should not take much to do so! Hey, just start a Web page petition like the 15c lovers did. Too bad they completely screwed up the battery design. The damn thing draws 30mA on each key press, and while doing calculations, not good news for the poor CR2032 batteries used.